Do you love trying new cars, and does your curiosity extend to each exciting new Jeep, RAM, Dodge, or Chrysler model? If so, you might want to look into this opportunity to drive a brand new car every two or three years. When you choose to lease, you get to explore new car models more often. The new car smell doesn’t wear off, and you won’t have time to get tired of your car. It’s the perfect solution for car enthusiasts who think that life is too short to drive just one car. A lease deal will also save your from the deterioration of an older car; you’ll only have to handle routine maintenance like oil changes and brake fluid checks. If something major does go wrong, your car will still be covered by a warranty. Look into our Dodge lease deals; drive a powerful Charger or a family friendly Dodge Journey or Caravan. You can also look into a RAM lease deal to see if a powerful 1500 or 2500 is right for you in the long term. 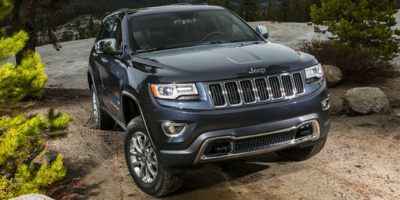 Our Chrysler lease deals cover the popular Chrysler 300, Pacifica and Pacifica Hybrid, and if you’d like to explore our Jeep lease deals, you’ll love the Jeep Renegade, Cherokee, Grand Cherokee, Wrangler, Rubicon and more. Have you taken a look at our recent RAM financing offers? Whether you are shopping for a gas 4x4 pickup for personal use or adding a Cummins turbo diesel to your fleet, take a look at our RAM current offers today. Our Jeep current offers are just as exciting---if you’re thinking about buying a Cherokee or Wrangler, don’t make up your mind until you have explored our Jeep specials page! We have low APR incentives, price slashes and more. This offers don’t last forever, so we recommend taking action now. When it comes to Jeep financing offers, RAM financing offers, and Chrysler and RAM specials, you can’t beat the prices we have at our dealership. But how do you get started taking advantage of them? The first thing you should do is fill out our “Get Pre Approved” application. It’s the easiest way to get pre approved for financing, and all it requires is some basic financial information, contact info, and your social security number. It will read your credit score and other factors to tell you how much financing you are eligible for. Generally speaking, higher credit scores will qualify for better amounts of financing, better incentives, and lower rates of interest (when you’re buying a car, this is Annual Percentage Rate, or APR). Our best Dodge offers, Jeep financing offers, and RAM specials generally apply to applicants with stronger credit. However, if you have a low credit score, don’t hesitate to get in touch! We want to help each shopper qualify for new car incentives, and we’ll help you get a fair loan regardless of your credit.